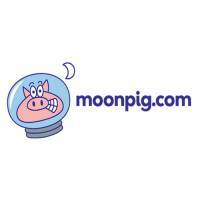 ● You can save at Moonpig by participating in thePiggyBank Rewards program. By prepaying into your “PiggyBank,” Moonpig gives you 25% free in bonus dollars. That means that you save 20% every time you purchase a Moonpig card. PiggyBank balances are good for two years after your most recent Moonpig purchase. PiggyBank Rewards cannot be used with other discounts or promotions. ● Moonpig frequently has a special promotion for Mother’s Day that allows you to get three cards for the price of two. Check in around this time of year to see what you can save. ● Coupons at Moonpig frequently can save you 10-30% off your purchase or allow you to buy one card, get another one free. To stay informed of these promotions as they become available, consider signing up for the Moonpig mailing list. Cards are an essential part of any holiday, whether you're wishing a family member a happy birthday or if you're sending your condolences to a friend at work. Moonpig.com is a site that specializes in unique cards for various occasions. At the very top of their website you can choose the type of card that you're interested in buying or you can use the search bar to find a specific item. Once you have chosen the card that you're interested in, be sure to use the personalization feature to make it absolutely perfect. Your order will then be shipped on the same day as long as it's placed before 2 PM. For most up to date offers check out Moonpig.com on Facebook and Twitter or contact Moonpig.com Support for any questions.